The intricately detailed fabled Dr. 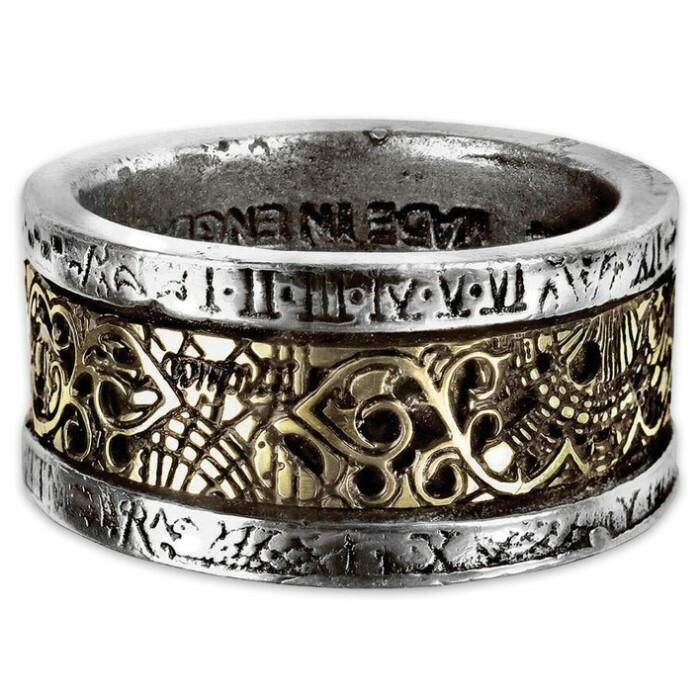 Von Rosenstein ring has been replicated in this stunning piece of jewelry that is the key to the induction matrix. The key was a vital part of Dr. Von Rosenstein's awesome 18th century, Post Mortem Cognitive Transfer technology apparatus. 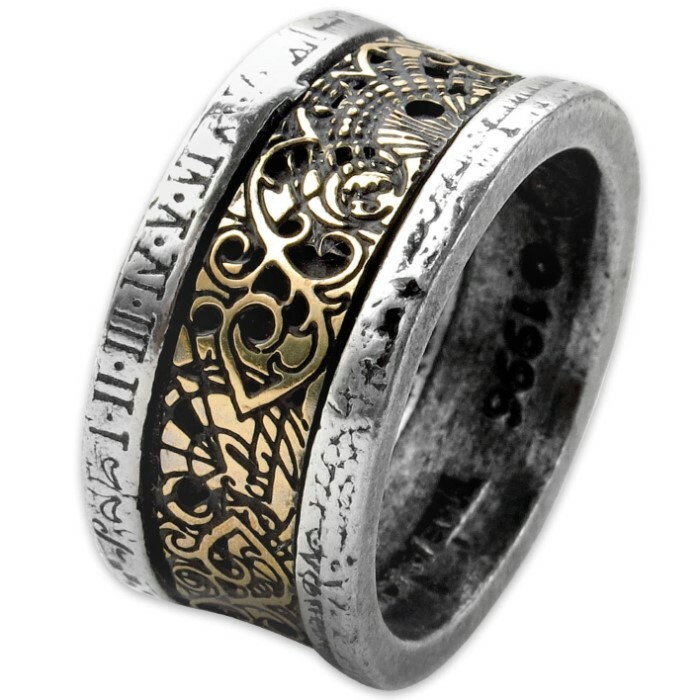 The ring is crafted in Fine English pewter with a pierced and etched brass inlay. 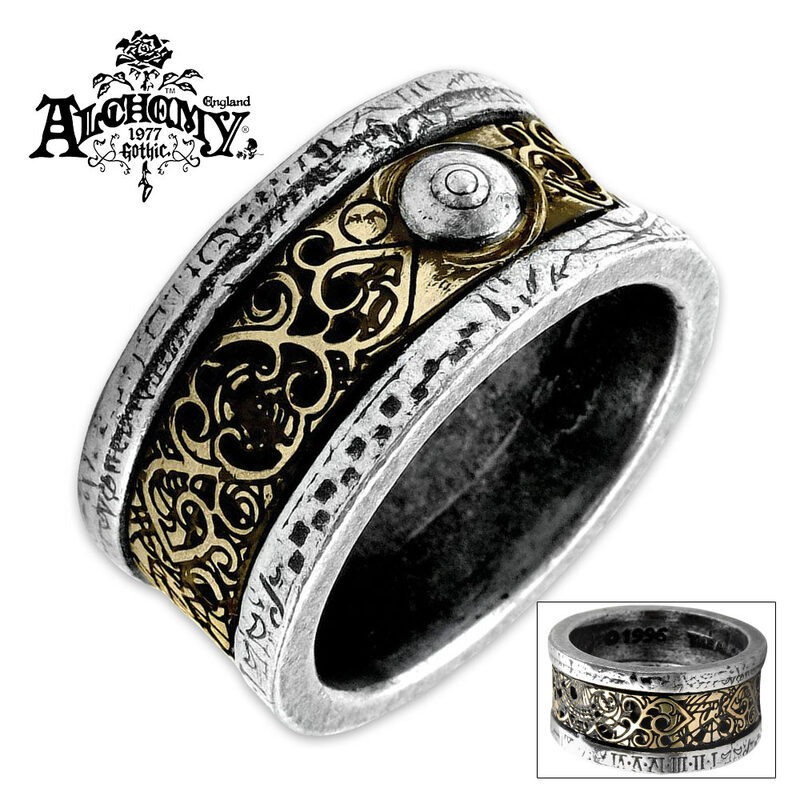 This a unique statement piece for the steampunk or gothic enthusiast. It comes in sizes 8 1/2, 9 1/2, 11 and 12.